Gift Chocolates on any Occasion - Chocopie Choclates chocolate to make someones day. Weight of Chocolate 336g. (Total 12 Pcs of 28g each). Chocopie is a pack of 12 mouthwatering chocolates I can gift to anyone on any occasion. The 12 pieces bring heavenly delight when I chomp the Chocopie. 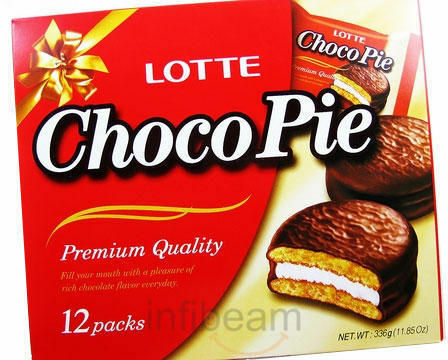 For a quick bite, I love only Chocopie. It is so reasonably priced that I can use the pack in my routine life also. Moreover, I can gift this to someone I love.